Dimensions : 14" X 17" X 5"
Ordinary Temperature Recorders with single or multi pens and microprocessor based Recorders of sophisticated design are available for any kind of application. This is a high-accuracy temperature & pressure recorder with internal battery and non-volatile memory for deployment at high depths. This is intended for moorings or other long-term, fixed-site applications, as well as shorter-term deployments on nets, towed vehicles, or ROVs. 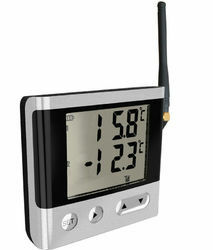 We have at our disposal a qualitative collection of Temperature Recorders, which exhibits exceptional performance. Further, these are fabricated using the finest quality material and components. As a result, these prove to be at par with the international quality norms and offered to the clients at cost effective prices. We are engaged in manufacturing a wide range of Standard Temperature Recorder which are made in accordance to international standards which make it highly efficient. 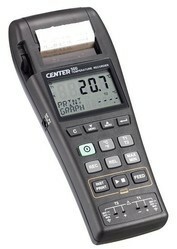 These digital displays are very easy to use and are recommended with latest software applications.